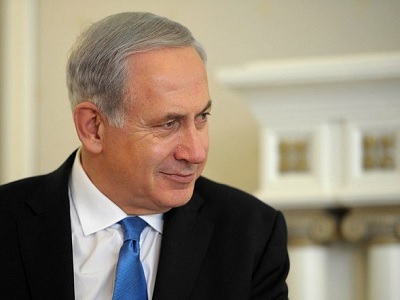 In a series of related media appearances, Netanyahu hammered repeatedly on the “destruction of Israel” theme as a way of blaming Palestine for the predictable failure of the latest round of the seemingly perpetual “peace process”. The extreme subjectivity of the epithet “terrorist” has been highlighted by two recent absurdities – the Egyptian military regime’s labeling of the Muslim Brotherhood, which has won all Egyptian elections since the overthrow of Hosni Mubarak, as a “terrorist” organization and the labeling by the de facto Ukrainian authorities, who came to power through illegally occupying government buildings in Kiev, of those opposing them by illegally occupying government buildings in eastern Ukraine as “terrorists”. In both cases, those who have overthrown democratically elected governments are labeling those who object to their coups as “terrorists”. It is increasingly understood that the word “terrorist”, which has no agreed definition, is so subjective as to be devoid of any inherent meaning and that it is commonly abused by governments and others who apply it to whomever or whatever they hate in the hope of demonizing their adversaries, thereby discouraging and avoiding rational thought and discussion and, frequently, excusing their own illegal and immoral behavior. Netanyahu’s assertion that Hamas “calls for the destruction of Israel” requires rational analysis as well. He is not the only guilty party in this regard. The mainstream media in the West habitually attaches the phrase “pledged to the destruction of Israel” to each first mention of Hamas, almost as though it were part of Hamas’s name. In the real world, what does the “destruction of Israel” actually mean? The land? The people? The ethno-religious-supremacist regime? There can be no doubt that virtually all Palestinians – and probably still a significant number of Native Americans – wish that foreign colonists had never arrived in their homelands to ethnically cleanse them and take away their land and that some may even lay awake at night dreaming that they might, somehow, be able to turn back the clock or reverse history. However, in the real world, Hamas is not remotely close to being in a position to cause Israel’s territory to sink beneath the Mediterranean or to wipe out its population or even to compel the Israeli regime to transform itself into a fully democratic state pledged to equal rights and dignity for all who live there. It is presumably the latter threat – the dreaded “bi-national state” – that Netanyahu has in mind when he speaks of the “destruction of Israel”. For propaganda purposes, “destruction” sounds much less reasonable and desirable than “democracy” even when one is speaking about the same thing. In the real world, Hamas has long made clear, notwithstanding its view that continuing negotiations within the framework of the American-monopolized “peace process” is pointless and a waste of time, that it does not object to the PLO’s trying to reach a two-state agreement with Israel; provided only that, to be accepted and respected by Hamas, any agreement reached would need to be submitted to and approved by the Palestinian people in a referendum. In the real world, the Hamas vision (like the Fatah vision) of peaceful coexistence in Israel/Palestine is much closer to the “international consensus” on what a permanent peace should look like, as well as to international law and relevant UN resolutions, than the Israeli vision – to the extent that one can even discern the Israeli vision, since no Israeli government has ever seen fit to publicly reveal what its vision, if any exists beyond maintaining and managing the status quo indefinitely, actually looks like. As the Fatah and Hamas visions have converged in recent years, the principal divergence has become Hamas’s insistence (entirely consistent with international law and relevant UN resolutions) that Israel must withdraw from the entire territory of the State of Palestine, which is defined in the UN General Assembly resolution of November 29, 2012, recognizing Palestine’s state status as “the Palestinian Territory occupied since 1967” (including, significantly, the definite article “the” missing from “withdraw from territories” in the arguably ambiguous UN Security Council Resolution 242), in contrast to Fatah’s more flexible willingness to consider agreed land swaps equal in size and value. After winning the last Palestinian elections and after seven years of responsibility for governing Gaza under exceptionally difficult circumstances, Hamas has become a relatively “moderate” establishment party, struggling to rein in more radical groups and prevent them from firing artisanal rockets into southern Israel, a counterproductive symbolic gesture which Israeli governments publicly condemn but secretly welcome (and often seek to incite in response to their own more lethal violence) as evidence of Palestinian belligerence justifying their own intransigence. Netanyahu’s “destruction of Israel” mantra should not be taken seriously, either by Western governments or by any thinking person. It is long overdue for the Western mainstream media to cease recycling mindless – and genuinely destructive – propaganda and to adapt their reporting to reality, and it is long overdue for Western governments to cease demonizing Hamas as an excuse for doing nothing constructive to end a brutal occupation which has now endured for almost 47 years. This statement has absolutely no basis in fact, proof of happening, or any other evidence to support it. Excellent article. I would just push the length of the brutal occupation from 47 to 66 years, if not more – see Ilan Pappe’s ‘The Ethnic Cleansing of Palestine’.